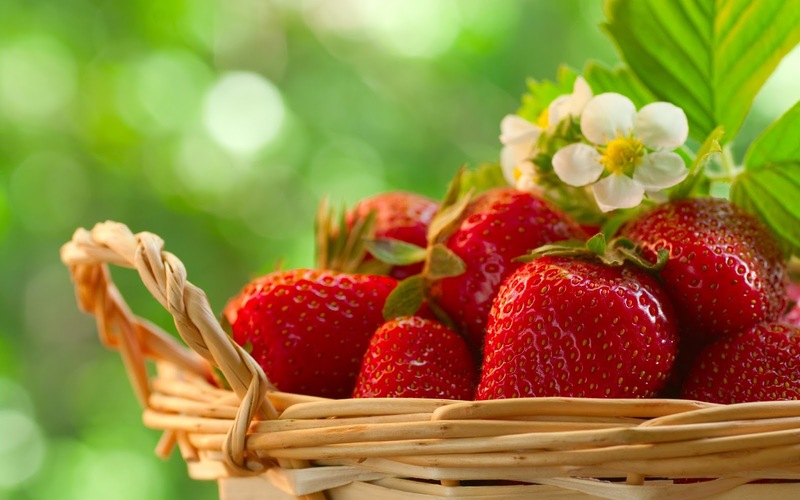 Marci Coombs: Strawberry Salad + a fun Graduation/Birthday gift idea. Strawberry Salad + a fun Graduation/Birthday gift idea. I'm not sure if it's because I LOVED Strawberry Shortcake dolls when I was little....or if it's the fact that strawberries are literally one of the ONLY fresh fruit I can eat without going into anaphylactic shock - - but I LOVE EVERYTHING strawberry related. This salad was a HUGE hit at our teacher's luncheon last month. Thank you Kim for passing it along to me...and my blog readers! Layer the salad ingredients in this order: lettuce, strawberries, Feta, nuts. There are no measurements for the salad ingredients. It's to taste or how much of an ingredient you have. I usually do 2-3 Romain hearts, 2-3 quarts of strawberries, 1/2 to 1 cup of Feta and 1/2 to 1 cup nuts. It tastes just as great without the nuts. I often times will omit the nuts when my nieces and nephews who have nut allergies come over. Vigorously shake until dressing ingredients are combined. Top salad and toss with approximately 1/2 of the dressing. I can usually get two salads for every one batch of dressing. Put dressing on right before serving because once the dressing is on, the salad does not last very long. P.S. How adorable is this money bouquet that my mom made my niece for her birthday? 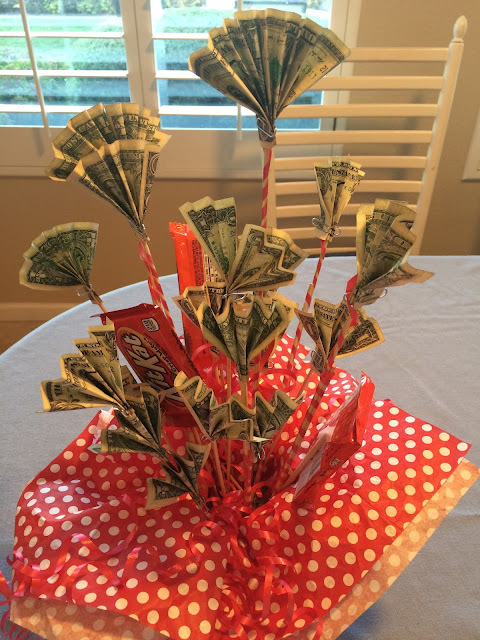 It would be SO fun to give to someone as a graduation present, too! A Chocolate Chip Cookie Recipe you MUST try! Family Home Evening Lesson: Speaking Kind Words. Cream Cheese Pan SUGAR COOKIE Bars.